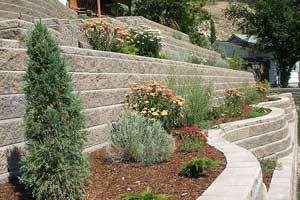 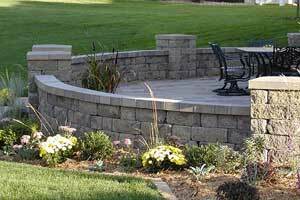 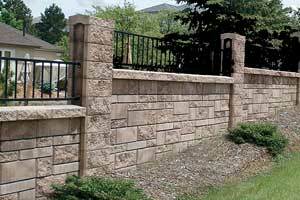 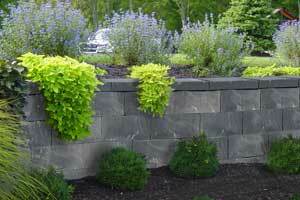 Concrete block retaining wall system good for any residential or commerical application. 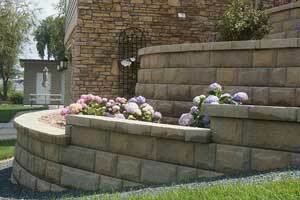 Multiple sizes, shapes, textures and colors available. 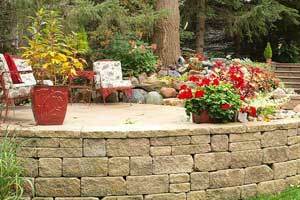 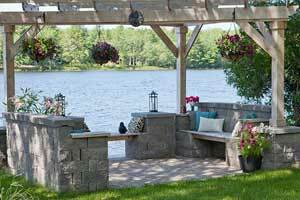 Two-sided free standing wall system, great for seating walls, kitchens, water features and other outdoor living accents. 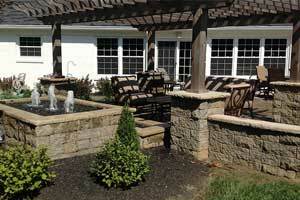 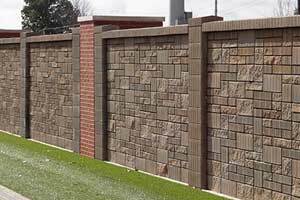 Post & panel concrete block fence system great of noise reduction, privacy fencing, security, and containment. 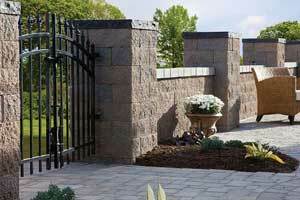 Allan Block products are Inspired by Nature and Designed for Life. 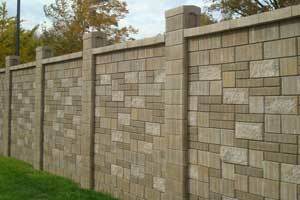 What that means is that every Allan Block carries with it a promise to be durable, naturally attractive, and easy to install. 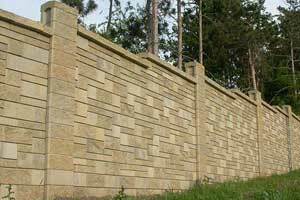 Every Allan Block carries with it the testing, engineering and field performance you want for a strong, safe, reliable wall system.